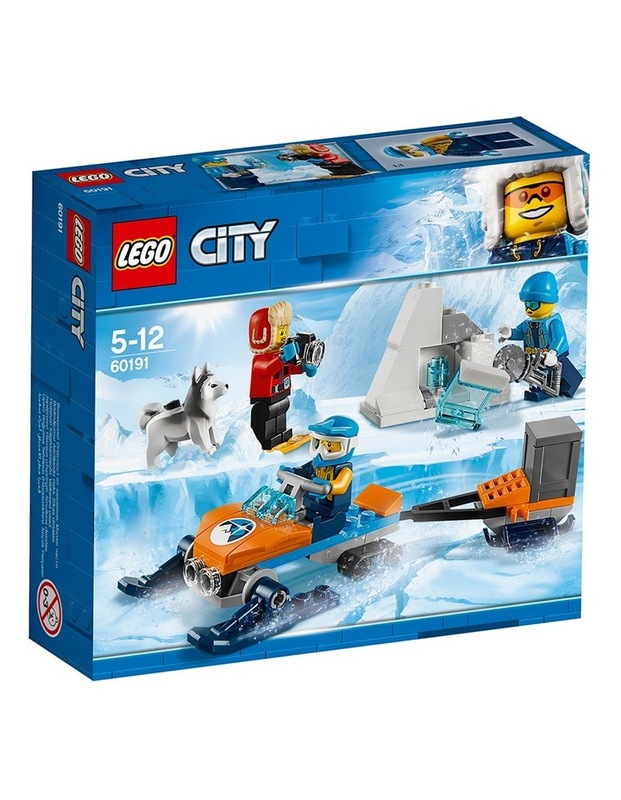 City Arctic Exploration Team. 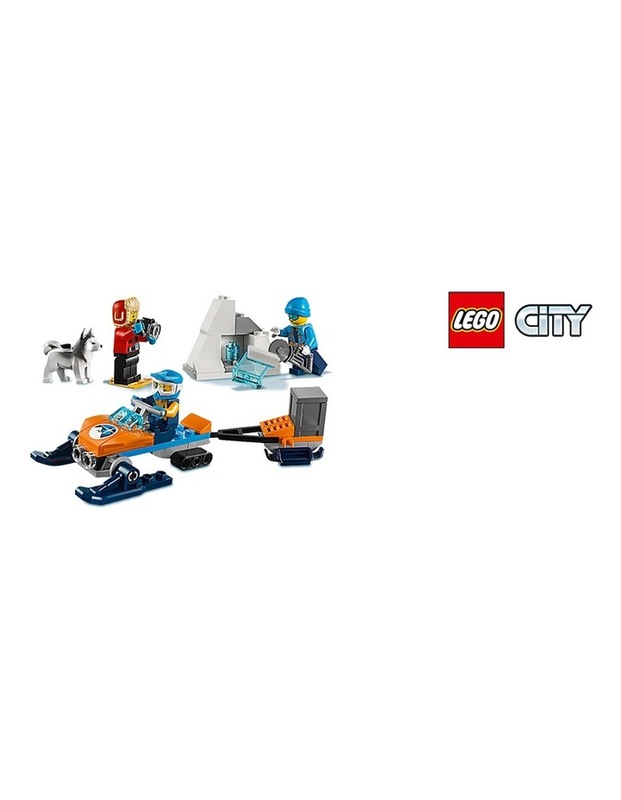 Grab the camera and head to the dig site with the LEGO City 60191 Arctic Exploration Team! The team has found a cool artifact and need pictures before they bring it back to base. 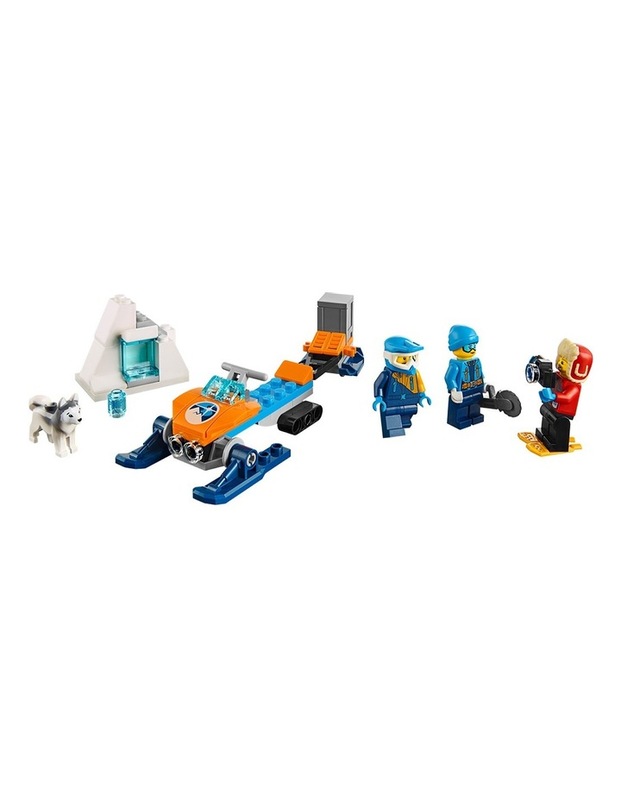 Load up the snowmobile and drive to the ice block. Free the artifact with the saw and store it safely in the snow trailer's storage box. 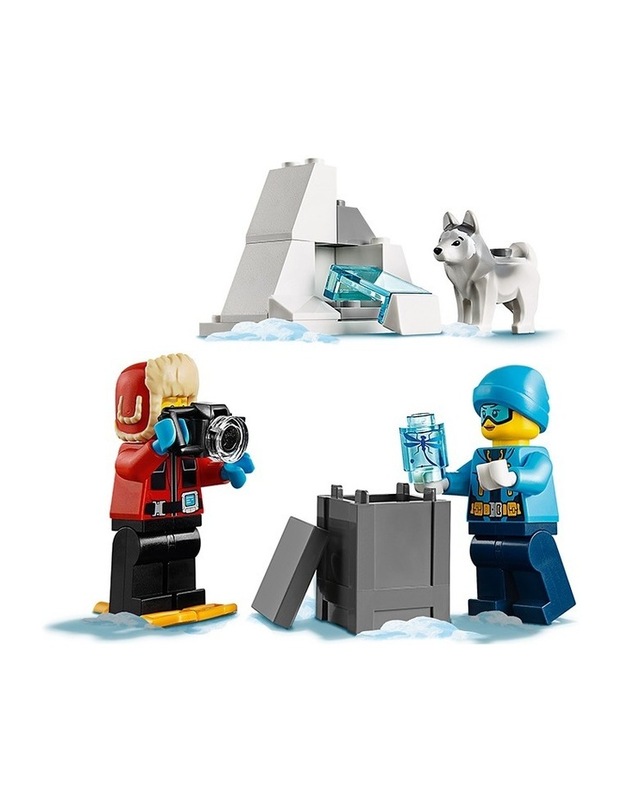 Call the dog before he wanders off, then head back to camp to warm up and figure out what you've found! Age 5-12; 70 Pieces. Style No. 60191.